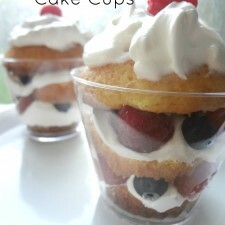 Lemon Berry Cake Cups for Dessert! With the 4th of July right around the corner, I bet that many of you are busy party planning away! I have definitely started making my menu for this all day family celebration, so I wanted to take the time to share a few ideas that I have in mind. I’m all about making both healthy and indulgent dishes, so I’ll be sure to have a mixture of everything. From appetizers to dessert, my goal is to have an array of food to keep those tummies full! 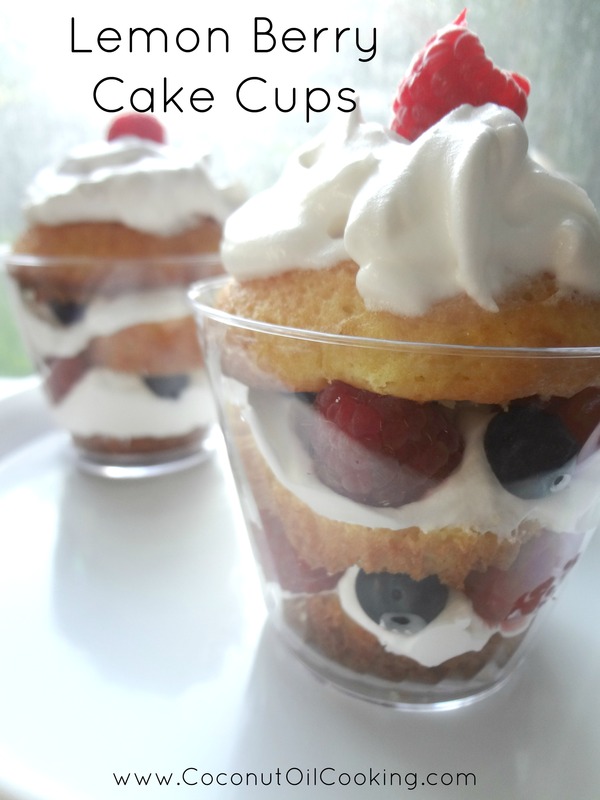 Lemon Berry Cake Cups – This recipe was so fun to make and is a great project to involve the little ones with. The lemon cake, whipped cream and berries compliment each other for a lite dessert AND you get the festive red, white, and blue. Chips and Dip – You can never go wrong with chips and dip, especially when entertaining for a large group of people. This blog contains 5 different recipes which are all simple to make. Spinach dip with homemade tortilla chips is my all-time favorite! Chocolate Pudding Cake – For those chocolate lovers out there, this chocolate pudding cake hits the spot! From devil’s food cake to the semi-sweet morsels, it’s one chocolate heaven. Adding coconut oil into the recipe leaves this cake spongy and moist throughout. Powdered sugar and berries go great for the 4th theme. Baked Mini-Mozzarella Sticks – I love any recipe that you can just throw in the oven to finish baking. These mozzarella sticks are so flavorful from the fresh mozzarella and Italian breadcrumbs. From my experience, this is one recipe where it never hurts to make more than enough! Frosty S’mores Cups – Summertime isn’t the same without s’mores. Save the hassle of lighting a fire and bring this campfire treat to life with frozen mini s’mores cups. The coconut oil and graham cracker crust will have you truly addicted! Goat Cheese and Caramelized Onion Flatbread – I love to make flatbreads since it’s a great grab-and-go party food. The goat cheese and onion mixture make a great sophisticated and delicious combination. Again, this is one dish to make by the handful for larger groups. I hope that you were able to get some ideas from the recipes above! Have a safe and happy 4th!